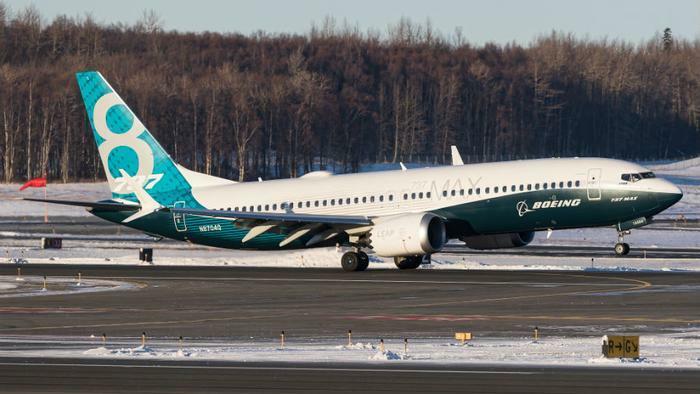 Boeing CEO Dennis Muilenburg says he’s seen enough information to conclude that faulty data from an angle-of-attack sensor played a role in two recent crashes of the company’s new jet, the 737 MAX 8. A Lion Air jet crashed in October. An Ethiopian Airlines plane crashed last month. Both jets went down shortly after takeoff, killing a total of 346 people. Both crashes are still under investigation but in a statement, the Boeing executive acknowledged the growing consensus. “With the release of the preliminary report of the Ethiopian Airlines flight 302 accident investigation it’s apparent that in both flights the Maneuvering Characteristics Augmentation System, known as MCAS, activated in response to erroneous angle-of-attack information,” Muilenberg said. The MCAS is an automated system that reads information from a small angle-of-attack sensor located on the side of the aircraft. If the sensor detects the plane is rising at too steep an angle it automatically pushes the nose of the aircraft down, to prevent it from stalling and dropping from the sky. But if the information is wrong, then the MCAS would push the plane into a dive at low altitude during takeoff when it is supposed to be climbing. Though their final report has yet to be issued, investigators in both accidents think that could have happened. Mullenberg’s statement followed a briefing by Ethiopian Transport Minister Dagmawit Moges, who said a preliminary investigation had ruled out pilot error as a cause of the accident. Earlier, he said the flight crew followed proper emergency steps as the pilots tried to regain control of the aircraft. Mullenberg said Boeing is taking a “comprehensive, disciplined approach” and will take all the time that is necessary to properly update the 737 MAX’s flight control software. He said the company is nearing the end of that process and expects to have the new software certified and implemented on the 737 MAX fleet in the weeks ahead. In the meantime, all Boeing 737 MAX aircraft remain grounded.